I think these are originally a Martha creation but they are everywhere right now and super simple to make. 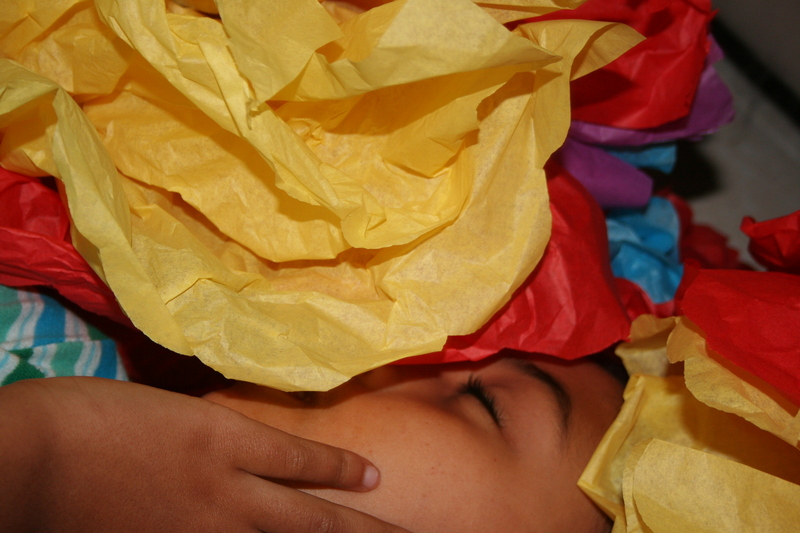 Open up your tissue paper and lay them in piles of 8-10 pieces. 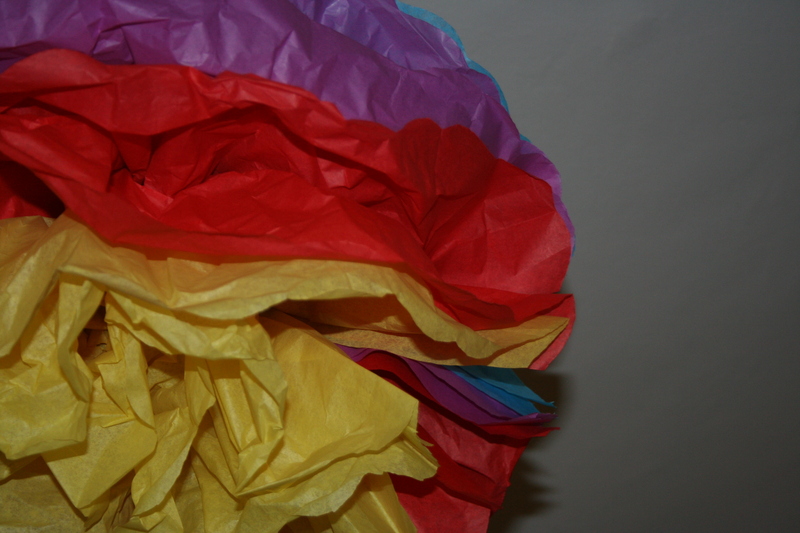 You can use single colors, rainbow or any combination of colors to match a party theme. 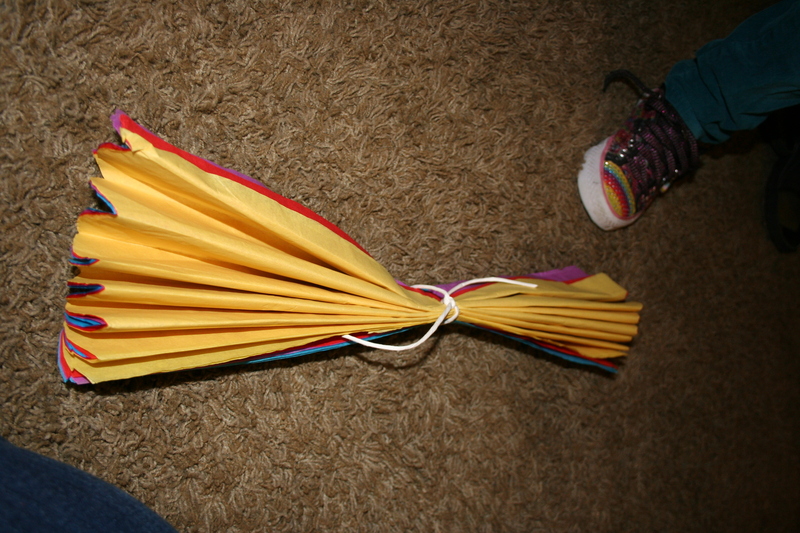 Fold them up like a fan (accordian fold, whatever) Then tie the center. Wire was recommended but I didn’t have any. I did have some of those paper ties that are used in kids toys to attach them to the cardboard so I used those. Then round the ends using some scissors. Then start separating the layers and fluffing them up. 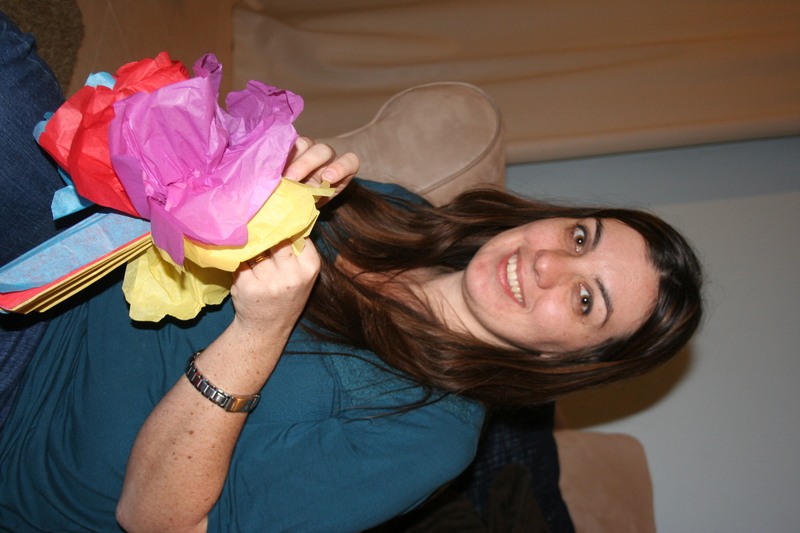 And of course covering yourself with pom poms is an essential part of the process. 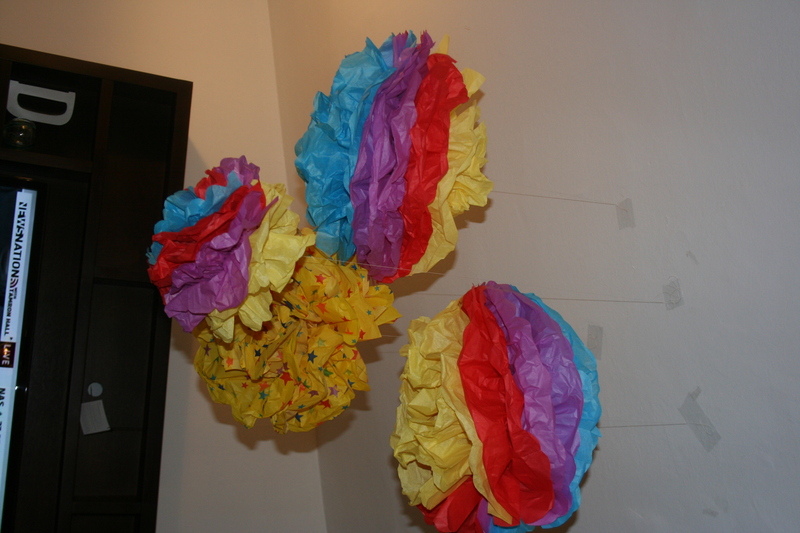 Hang from ceiling… I just used some kite string and packing tape. Try to ignore the packing tape! 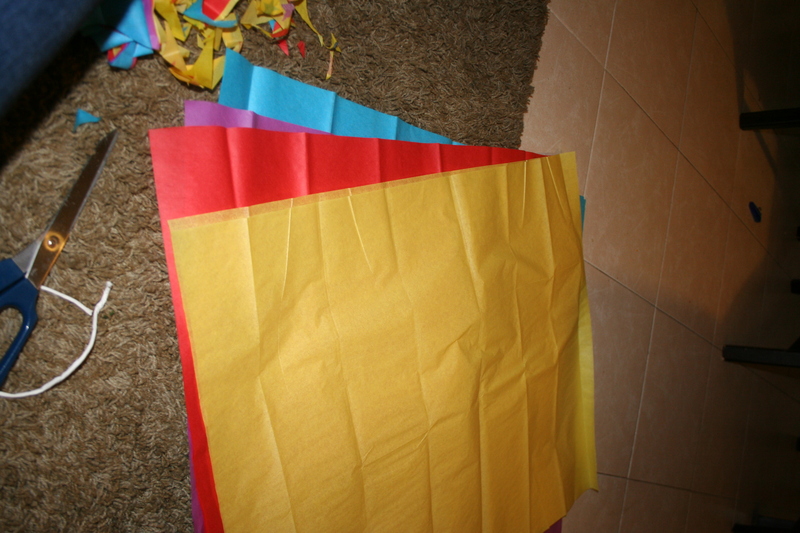 For the smaller one I just cut the layer of tissue paper in half first then used the same process. I remember making these as a kid. I had forgotten all about it. My kids are going to love this! 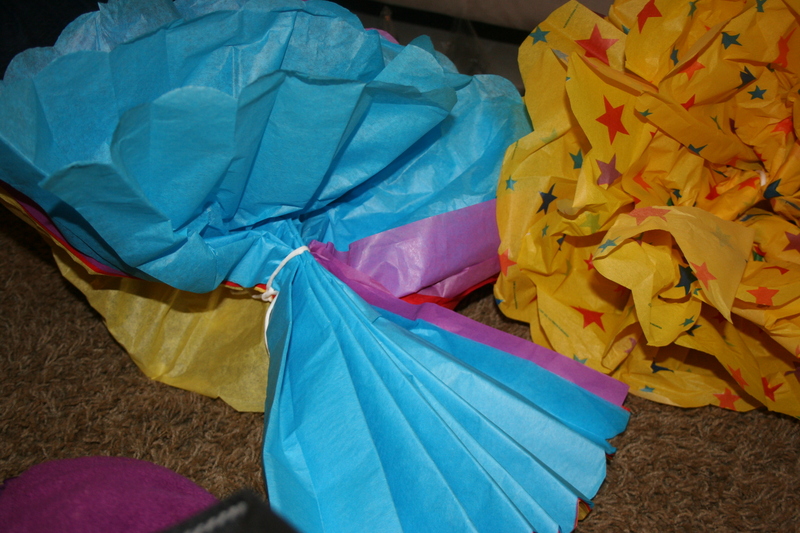 They are super fun and easy decorations! They make a room look so happy!